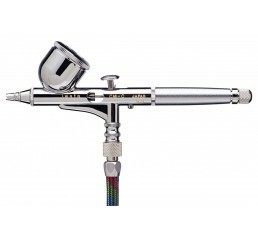 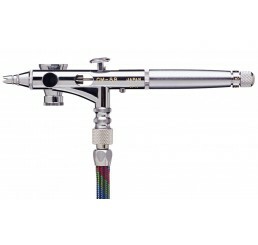 For the elite professional who demands precise and accurate control of very detailed spraying, the Custom Micron Series is built to be the “best of the best,” hand-tested and adjusted by the world’s leading airbrush technicians. 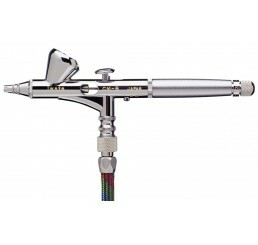 Special machining processes along with the meticulous hand-fitting of the parts create an airbrush with superb atomization and incredible control. 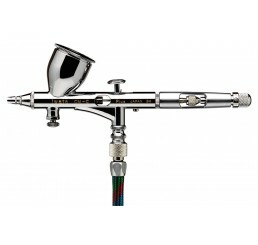 By removing the crown cap and nozzle cap, these airbrushes will spray an entire range of stipple effects, from very fine to coarse textures.